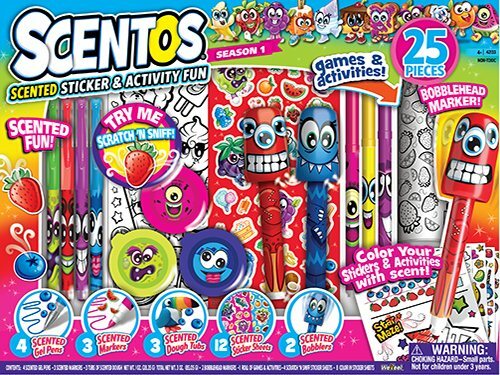 Set consists of 12 scented sticker sheets, 4 scented gel pens, 3 scented markers, 3 scented dough tubs, 2 scented bobblehead markers and 1 roll of games and activities. All items are with scent (consisting of grape, strawberry, blueberry and apple) that are pleasant and long-lasting. Markers are safe to use on photos.